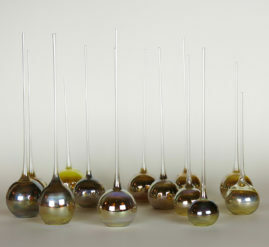 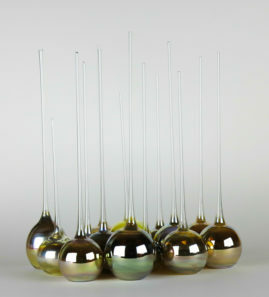 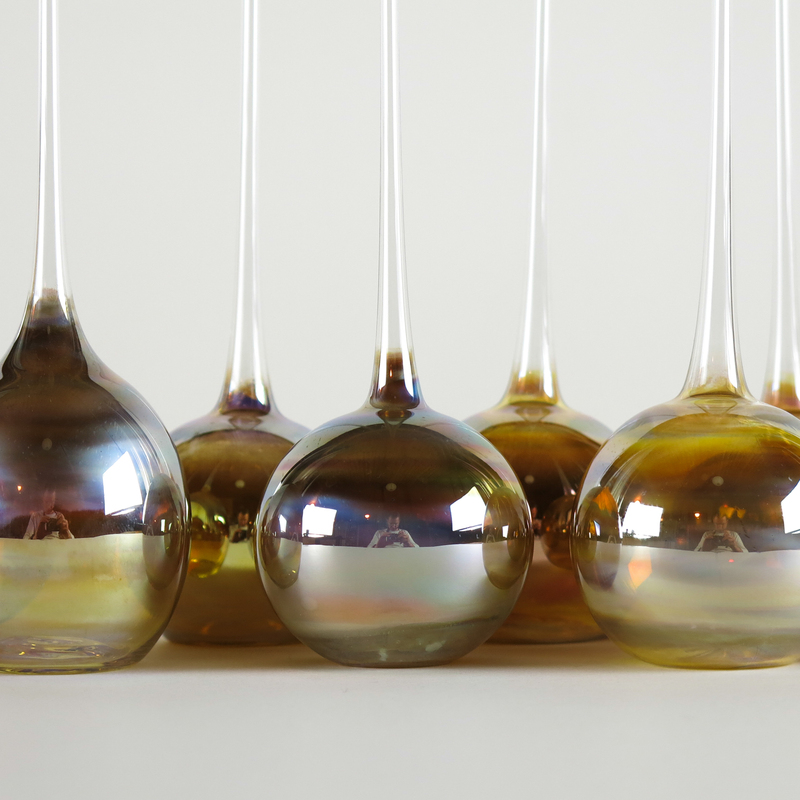 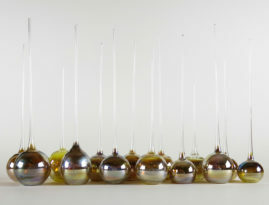 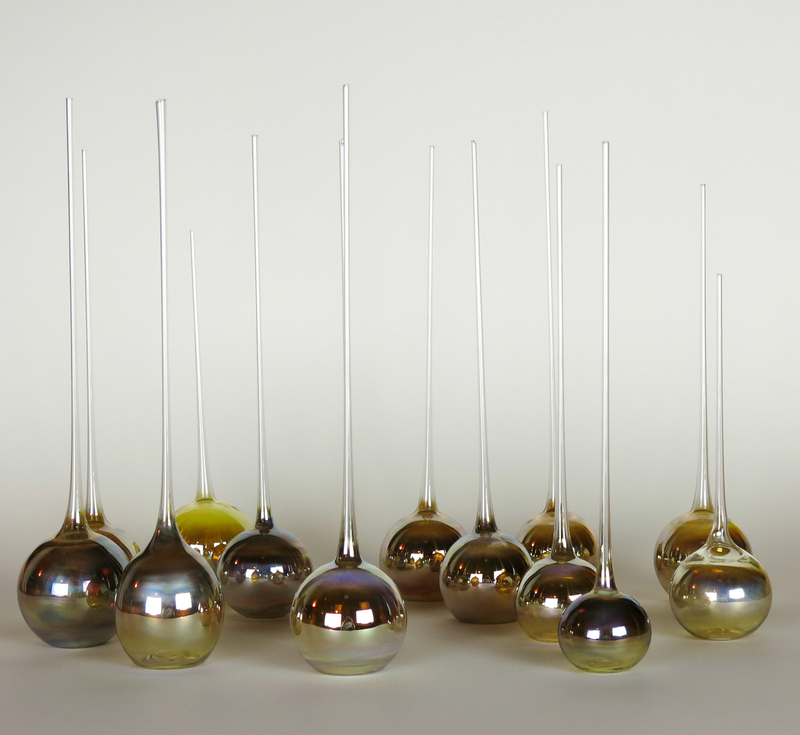 A series of vessels using borosilicate glass and the silver fuming technique. 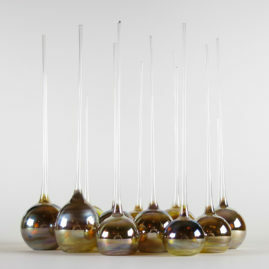 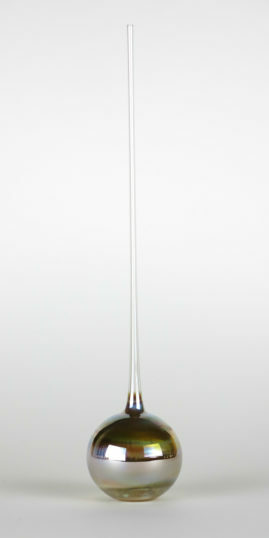 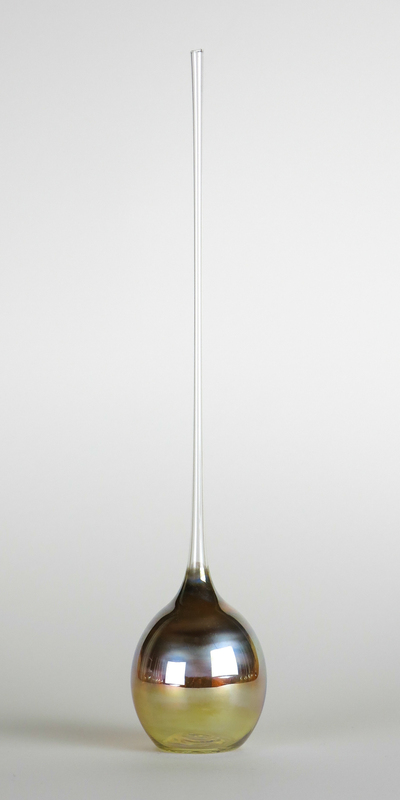 While the glass is red hot, pure silver is heated in the torch until it boils and starts to smoke. 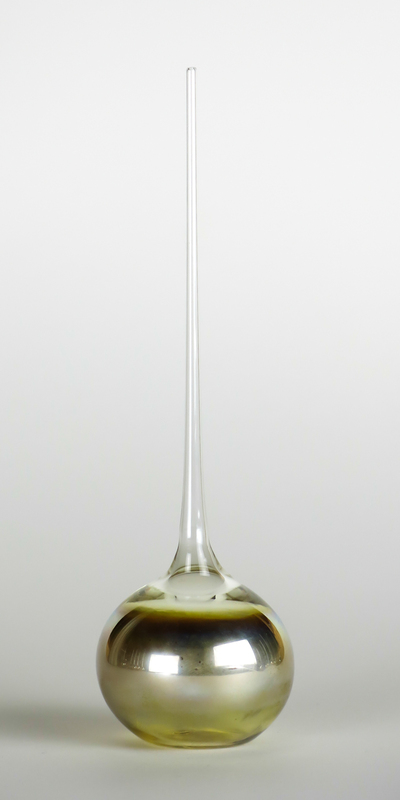 The glass is rolled in the smoke, collecting the silver particles on its surface. It’s a difficult technique, but can have incredible results.